In this newsletter we present the results of the analysis of business cases for the nine bio-based chemicals which could represent an opportunity for European chemicals industry. The aim of this deliverable was to obtain learnings about prospects and issues of different categories of bio-based chemicals: drop-ins, smart drop-ins and dedicated chemicals, and to use this knowledge to inform the Roadmap and the action which will lead to increased production of bio-based products in Europe. Please consider - if not done already - to subscribe to the RoadToBio newsletter. ­ The nine bio-based chemicals have been selected from a long list of opportunities which have been ranked by market attractiveness factors and TRLs of the bio-based chemicals. ­ To capture wider knowledge about bio-based chemicals representation of different product groups and different biogenic feedstock was considered when choosing the bio-based opportunities. The analysis of the nine business case studies shows the economic value of the markets that could be accessed by these bio-based chemicals is very large. There are a number of opportunities to replace fossil-based chemicals with bio-based chemicals, which could lead to more sustainable products on the market, in some cases with improved performance and functionality and relatively lower production costs. 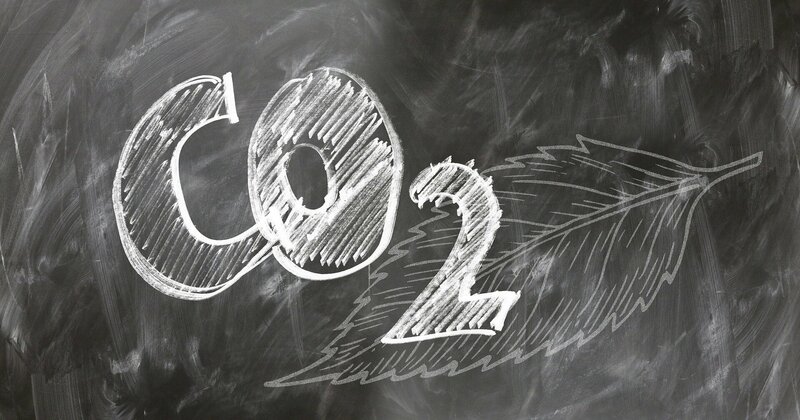 In most of the cases, bio-based chemicals have lower greenhouse gas (GHG) emissions compared to their fossil-derived equivalents. 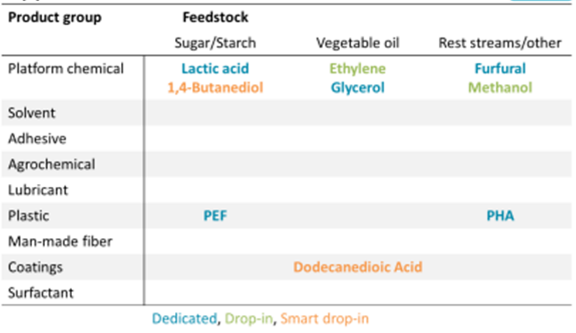 Large volume bio-based drop-ins like ethylene, and dedicated polymers such as PEF or glycerol derivatives could lead to significant displacement of fossil-based feedstock and improve the overall carbon footprint of European chemical industry. A significant driver for dedicated bio-based plastics such as PEF, PLA and PHA is the environmental impact after disposal, where recycling and/or biodegradability are key end-of-life considerations. An important enabler for the development and the market uptake of bio-based chemicals will be improving the cost competitiveness of bio-based chemicals. Supply of low cost renewable sugars and technology advances in utilization of waste feedstock are major opportunities for cutting the production costs and improving sustainability of bio-based chemicals. ­ Focus should be on development of innovative bio-based products which outperform traditional fossil-based products technically, environmentally and in terms of process efficiency - improved functionality and value will result in a strong end-user drivers. Seizing the opportunities in the bio-based sector will best be achieved through a range of supporting activities including research programmes and funding, the facilitation of networks and collaborations, the establishment of open access piloting and demonstration facilities, support for early stage companies, as well as demand side measures. ­ The roadmap is not developed by the consortium alone, but in cooperation with various stakeholders from the chemical industry, NGOs, brand owners, academia and governmental bodies. ­ We would like to invite you to join us on the journey to a more bio-based chemical industry. The roadmap should contain clear, realistic goals. Your knowledge and experience is necessary to create a market relevant roadmap with a high impact. Therefore, we will conduct workshops and webinars to involve you as stakeholder. Your opinion is of utmost importance to us. Through your participation, you get the opportunity to help shape the development process and to find your opinion later in the roadmap. nova-Institut für politische und ökologische Innovation GmbH. ­Copyright © RoadToBio Consortium, All rights reserved.